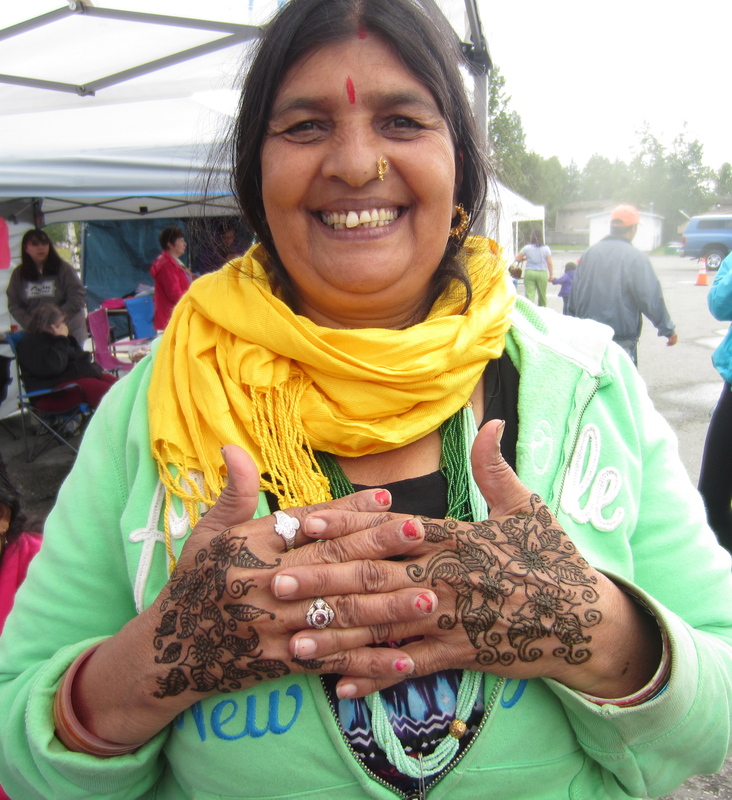 A Bhutanese-Alaskan woman whose harvest was sold at the festival. 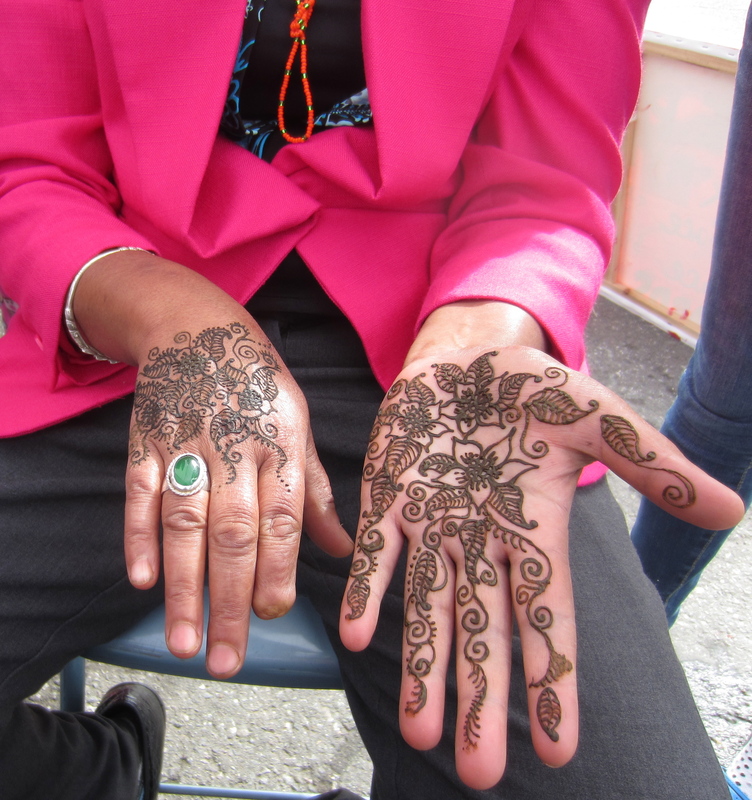 She was wonderful to do henna on–although I’m sure she’s seen much more authentic mendhi henna than I have! She was explaining to me how mendhi is used–especially during this month in her home country of Nepal to give girls good luck in finding a husband. Glad to help! 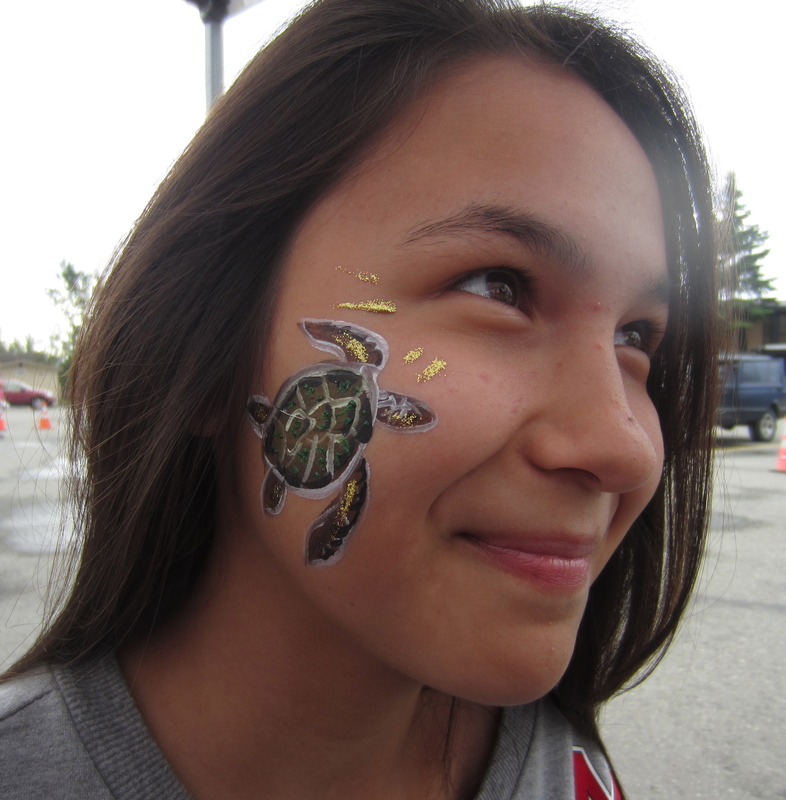 Sea turtle face painting. She could hardly keep from laughing while I was painting her. 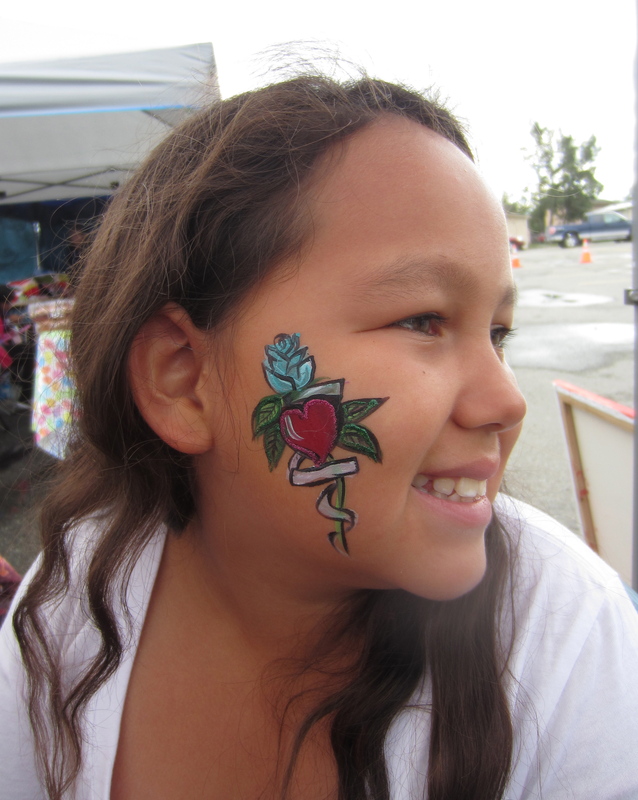 At St. Anthony’s, from 10 am until 4 pm, August 17th with produce and crafts and much more goodness. The gardeners at the church were wonderful and very into the henna (or, as they told me, mendhi) and it was very special to take part in.